this month my foodie pen pal "sender" was Collyn, she did an amazing job - all her picks were so well suited to my tastes and vegan - YAY! her college roomate was a vegan so she was familiar with the lifestyle. 1. Harney & Sons Fine Tea- I LOVE this brand of tea (and the super cute tin the tea comes in). this is a new flavor for me - Winter Wonderland, and I cannot wait to try it out! 4. Justins Almond Butter- do I need to say more? 5. Hail Merry Granola - a quirky name, perfect for my new breakfast obession of yogurt, granola and fresh fruit. Thank you so much Collyn, you did an absolutely wonderful job! Again, thank you so much for taking the time to find foodie items that were so completely suited for me. I hope you enjoy your foodie package from your pen pal just as much as I enjoyed yours. Those were the nuts I brought back from Boston! That's so cool she sent you some. I loved them and had a few samples of that kind! The granola sounds really good too. Food packages are the best, even when they aren't mine lol. that is a nice collection this time! i love that tin. Nice! 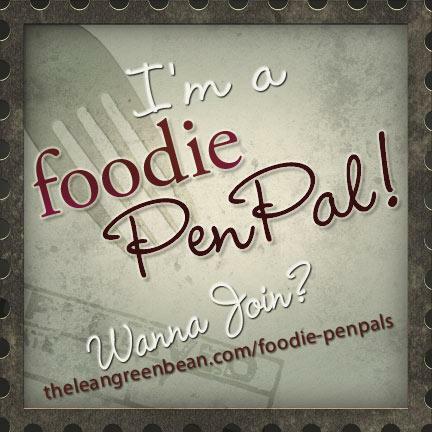 I love the idea of foodie pen pals, but I keep not joining up because I know I'm rubbish at keeping dates and remembering things... perhaps when life is a little less hectic, I'll give it a go! 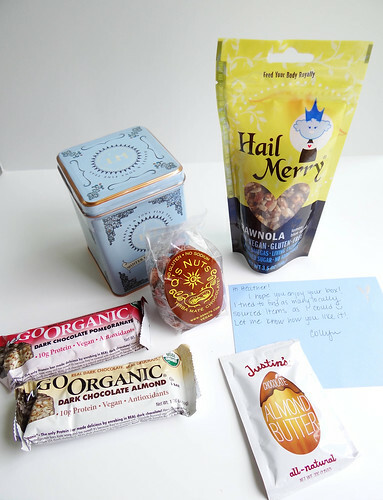 Love Foodie Penpals! I should sign up again for July. So much fun!!! :) All the treats you got look great! great work for me, hope to see more best posts like this.